Several weeks ago as my daughters and I were shopping at our local grocery store we came across a small display near the end of the aisle that caught all of our attentions. It was for Jolly Rancher soda. I got a couple great votes, some people thought their kids would like it, a college friend thought there might be a reason it was on sale, and Jeni from the blog “Jeni Eats” suggested that a taste test was in order. The next time we did our grocery shopping we picked up 4 bottles. 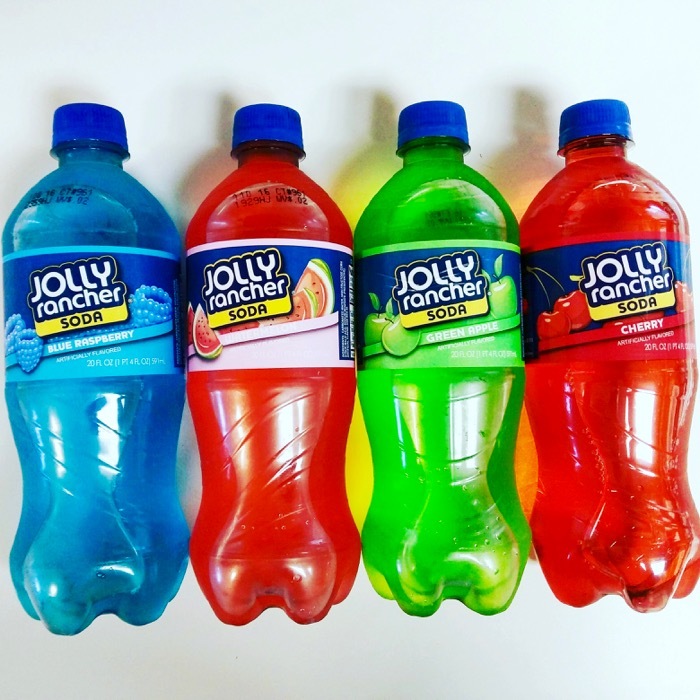 There were some different flavors like kiwi-strawberry and lime punch but we stuck with the more traditional Jolly Rancher flavors for our taste test; apple, blue raspberry, cherry, and watermelon. I’ve conducted experiments for my blog with my oldest daughter before so I enlisted her help in coming up with a way to evaluate each beverage. We decided to break it down into 3 areas: overall taste, how it tasted compared to the actual Jolly Rancher hard candy, and aroma. Then we devised the score sheets our family would fill out. 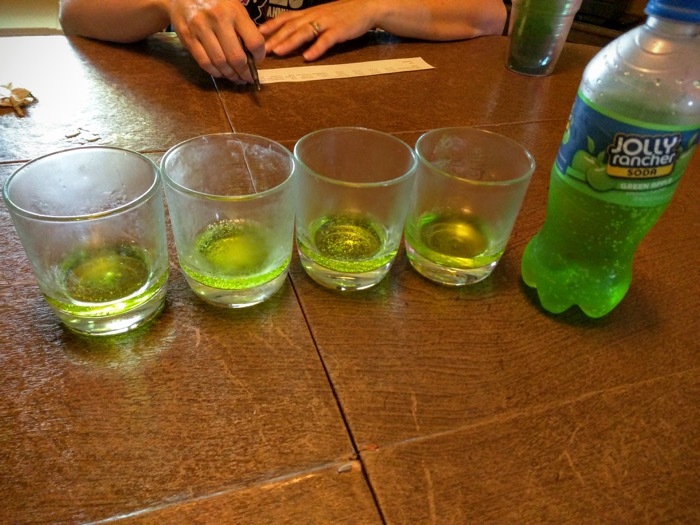 Four clear juice glass were filled with each flavor we judged. Apple – Smelled identical to the candy. Closest tasting to the actual Jolly Rancher candy. Watermelon – Tasted good at first but had a bad after-taste. Cherry – Smelled like cough syrup… tasted like carbonated cough syrup. Blue Raspberry – Looks like Listerine. Smelled pretty good. Tasted ok. So, what flavor came out on top? Apple was the overall winner in 1st place. Blue Raspberry 2nd. Watermelon 3rd. Cherry 4th. 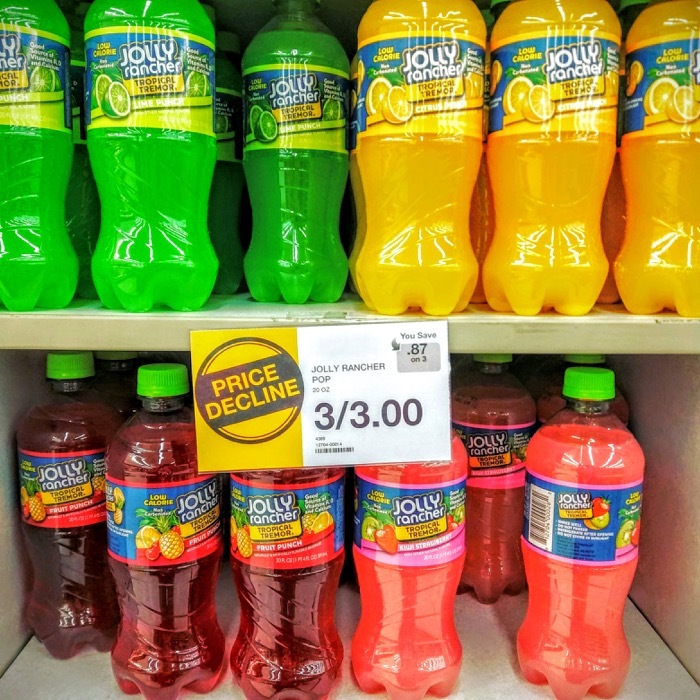 Jolly Rancher Soda was fun to try but I can’t see our family ever buying this again… but as my wife pointed out, we’re really not the target market. My kids don’t like carbonated beverages, I don’t drink much soda, and the only things my wife ever drinks are water, milk, and Diet Coke. 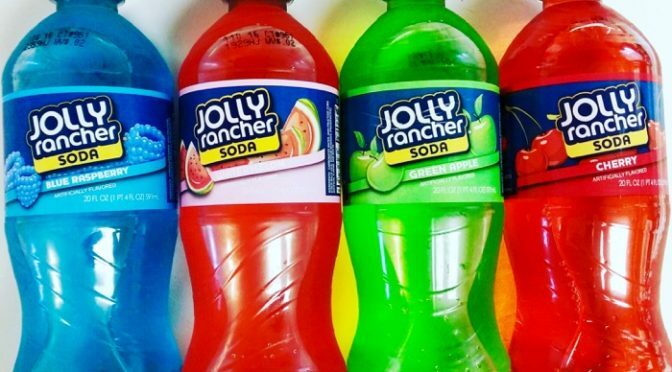 Have you had Jolly Rancher Soda before? What were your thoughts? If you enjoyed this head over to Learning As I Go for a taste test review of Wildwood Soda. It’s been hot this week! Temps above 90 and high humidity. 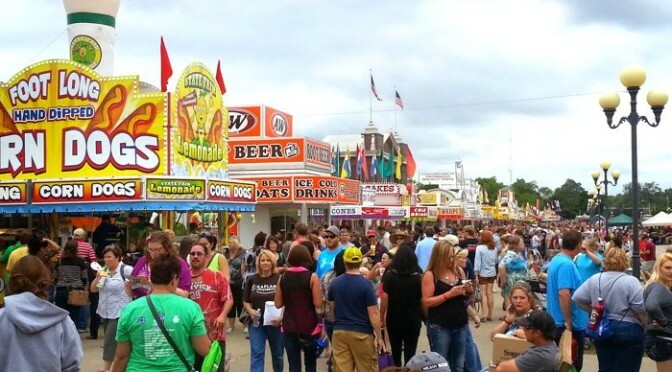 If that wasn’t enough to make me start thinking about the Iowa State Fair the press release with their new fair foods for this year’s 2016 fair sure did. I love Iowa State Fair Food! 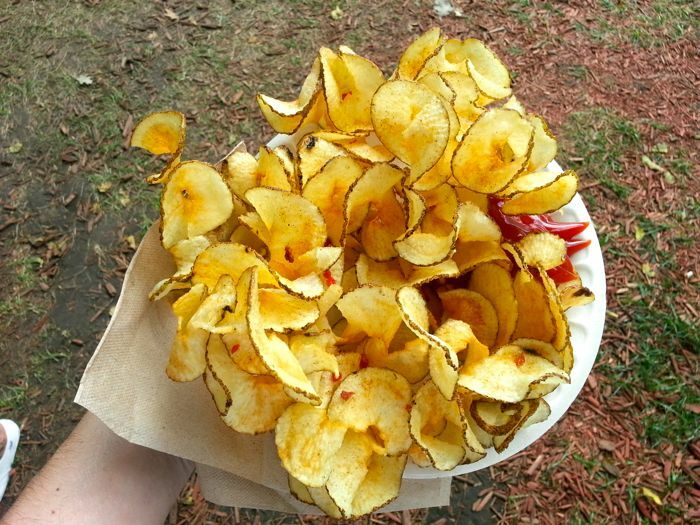 Eating my way through the fair is something I look forward to every year. 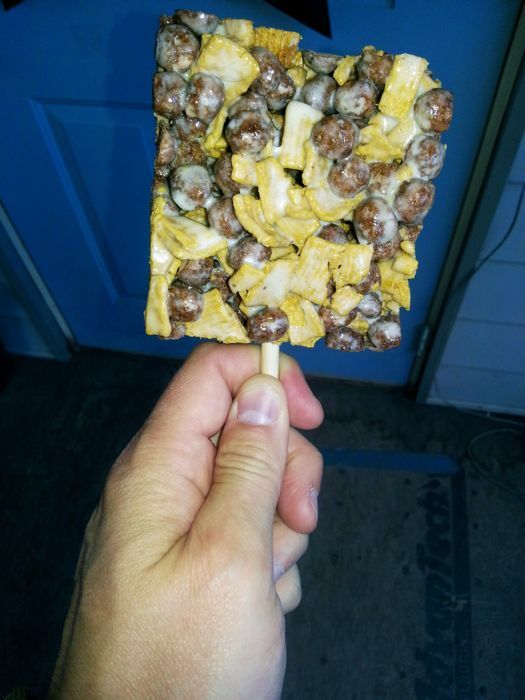 Favorites of mine (and my family) the include pork chop on a stick, turkey tender sandwich, deep fat fried cheese curds, fair square, Jr. Donuts, grator tators, and peppermint ice cream bar. Crisp cinnamon sugar chips covered with two scoops of cinnamon ice cream drizzled with hot fudge and caramel and sprinkled with bits of chocolate, caramel and strawberries. The dish is topped with nuts, whipped cream, and a cherry. 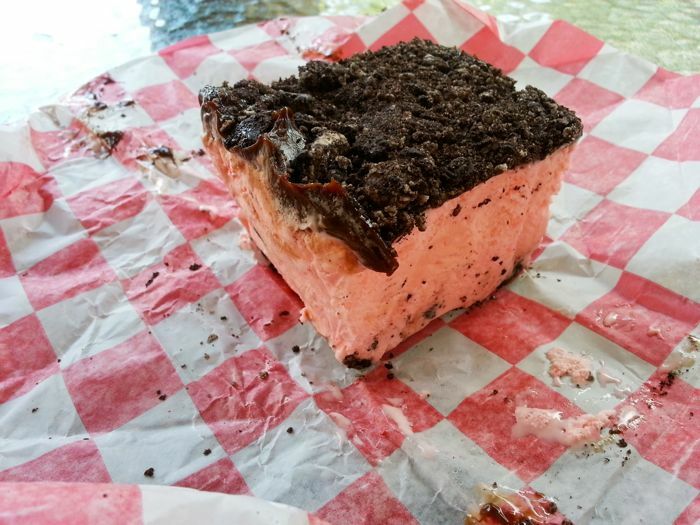 This delicious treat will help you to beat the heat this Fair. The Not Your Mamma’s Taco starts with a golden crispy deep fried flour tortilla. A layer of tender shredded and perfectly seasoned turkey is added to anchor the tortilla. Then fresh homemade veggie slaw is added to give the taco a creamy crunch. The taco is then topped with a sweet mango salsa to add color and a spicy sweet finish. The Pride of Iowa Wrap boasts a jalapeno cheddar tortilla with pork shoulder, sweet corn salsa, and hickory smoked bacon bits. Layered with cheddar jack cheese, fresh avocado relish, chipotle aioli and crispy tortilla bites for added texture. This wrap is sure to be a hit. 5 BUCK COWBOY CUP: A luscious layer of baked beans, mashed potatoes and shredded pork sprinkled with cheese in a grab ‘n’ go BBQ cup. $5.00 Found at Steer N Stein. APPLE FRITTER BITES: An apple fritter is formed into a ball and covered with powdered sugar. Found at Applishus $4.00. 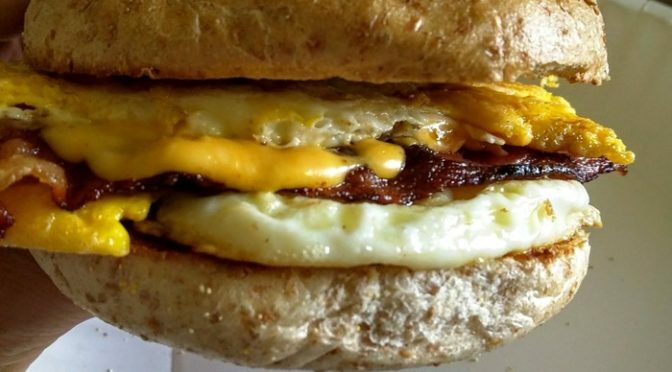 BACON CHEDDAR BRAT SANDWICH: A grilled pork brat with bacon & cheddar mixed into the patty. Found at Iowa Pork Producers. 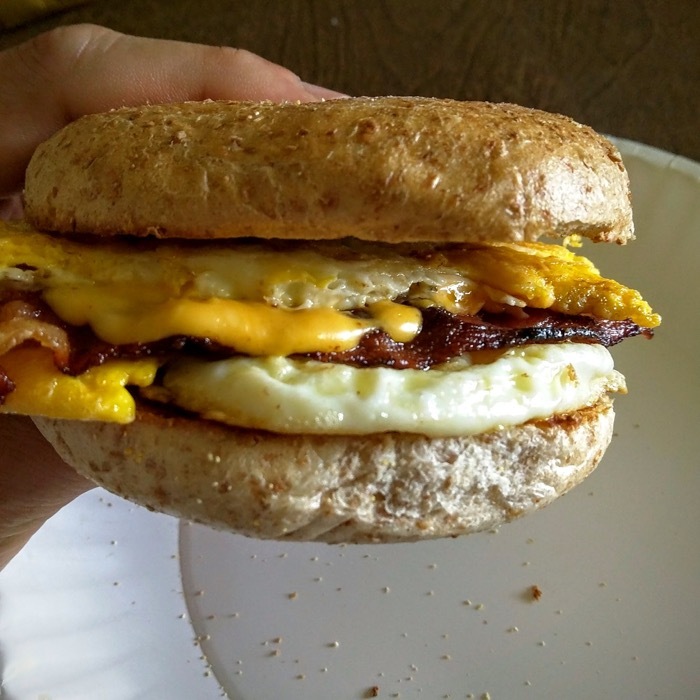 $6.00 sandwich, $8.00 meal. 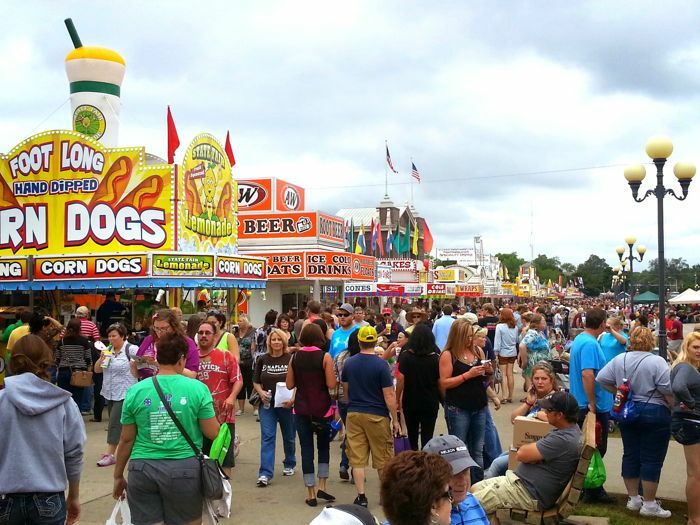 What new food do you want to try first at the 2016 Iowa State Fair?